Your way of giving is unique to you – that's why at Morgan Park Academy, we offer a range of giving opportunities that are tailored to be flexible, convenient and reflective of your commitment to our future. Our development team will help you find the tax advantages that work best for your family, and in many cases, our supporters find that these incentives help them make even more substantial gifts. Gifts that can be used by the Academy immediately have the most impact on our current students, however, planned gifts help the Academy secure its future. All gifts are welcomed and honored. Contact our development team to find which is right for you. Gifts of cash can be made through our online payment system, or by writing a check to Morgan Park Academy. Cash contributions entitle you to a tax deduction for the full amount of the gift. In addition to checks, we will also accept Visa, MasterCard, and American Express. By making a pledge, donors can spread out payments into convenient, smaller donations for up to five years. Pledges may allow donors to make a more significant gift, and tax benefits can be enjoyed over a period of a number of years. Pledges can be made through our online payment system or by contacting the Alumni and Development Office. Long-term securities (those held for more than a year) are beneficial to both the donor and the Academy because they earn a deduction on their fair market value on the day of the gift. In addition, capital gains taxes are not charged to the school or the donor for the securities. Short-term securities earn a deduction on their original cost. Gifts of readily marketable securities will be credited at fair market value at the average of the high and low quoted selling price on the date the donor relinquishes control of the asset. Donors wishing to give stocks are asked to contact the Academy before the transfer is made. Many companies and foundations match gifts by double or even triple, making a significant impact on your total gift amount. Many items of personal property appreciate in value over time, such as books, works of art and antiques. Donating these to the Academy may be an attractive option for donors, as these gifts often reduce estate tax liability and lower the donor’s taxable income the year they are donated. For some donors, the most advantageous way to support Morgan Park Academy is through gifts of real estate. Real estate property may be deeded outright to Morgan Park Academy, or a portion of the property’s ownership may be transferred to the Academy while the donor retains rights to residency, or the property maybe be bequested to Morgan Park Academy. All gifts of real estate are subject to advance approval by the school. Supporting Morgan Park through a bequest, a charitable trust or life insurance can also provide financial advantages for a donor and the donor’s family. Donors using the following options become members of the Luminary Society, Morgan Park Academy's planned giving recognition society. Donors are encouraged to seek advice from their financial and legal advisors when considering these options. 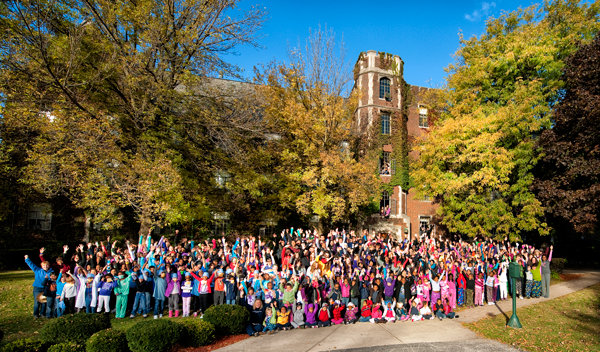 A bequest is a significant commitment to Morgan Park Academy’s future, with unique advantages for the donor. Bequests, which are a commitment of giving in a donor’s will, are exempt from federal and state inheritance taxes, and subject to an unlimited deduction. A bequest combined with a giving pledge may allow donors to contribute more significantly to Morgan Park Academy than they thought possible. A charitable lead trust allows a donor to pass assets on to his/her heirs when the donor’s current income exceeds his/her personal financial requirements. 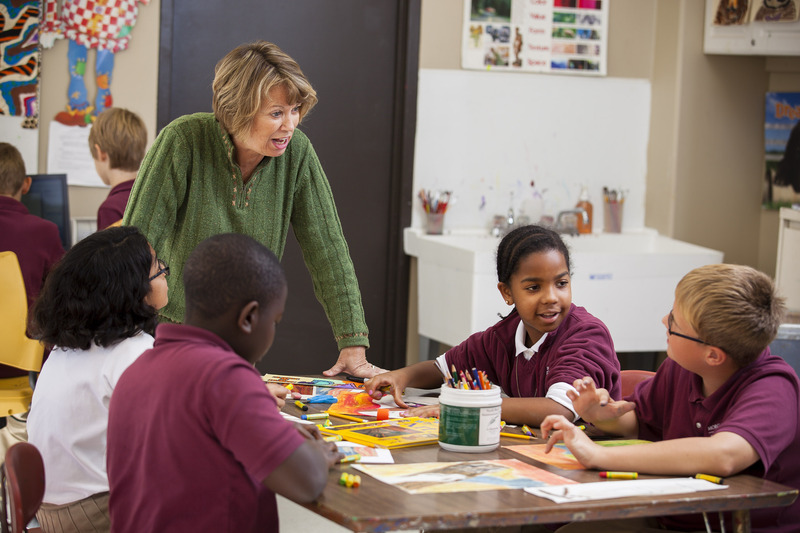 A charitable lead trust is created by placing assets in trust for a period of years, with a specific amount being paid to Morgan Park Academy in each of those years. At the end of that time period, the assets are passed on to the donor’s beneficiaries. A charitable lead trust may be established with a minimum contribution of $100,000 and the donor must be 60 years of age or older. For a donor who wishes to make a significant gift to Morgan Park Academy but is concerned about giving up a portion of his/her income, a Charitable Remainder Trust may be advantageous. Donors who are at least 60 years of age can create a Charitable Remainder Trust with a minimum gift of $100,000 in cash, securities, or property to Morgan Park Academy in exchange for an agreed-upon income for life or a specific number of years (not to exceed 20 years). The principal of the gift is released to the school for spending purposes upon the death of the beneficiary (the individual receiving the income) or the end of the agreement term. Naming Morgan Park Academy as both the owner and beneficiary of a life insurance policy can be a low-cost, high-return option for giving. The school gains invaluable financial support from the policy, while the donor receives a substantial charitable deduction. The value of a fully paid policy is its cash surrender value; in cases where Morgan Park Academy elects to pay premiums, these payments are considered operating expenses and do not increase the cash surrender value of the gift.